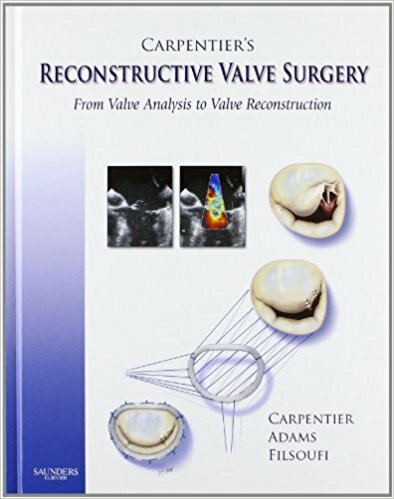 Carpentier's Reconstructive Valve Surgery presents you with authoritative guidance on reconstructive techniques for degenerative mitral valve disease. Alain Carpentier, MD, PhD-who pioneered the field-David H. Adams, MD; and Farzan Filsoufi, MD provide step-by-step instructions for each procedure and over 400 detailed anatomic drawings so that you can effectively apply the techniques of a master. Apply the techniques and procedures of Dr. Alain Carpentier-pioneer of mitral valve reconstruction-to your practice. View more than 400 detailed anatomic drawings that depict reconstruction procedures clearly. Master each procedure using step-by-step instructions and a consistent chapter format. Grasp the nuances of procedures thanks to “tips from the Master” and a section of questions and answers. Tap into the knowledge and experience of leaders in the field of mitral valve repair and reconstruction.